Rick and Kris Kunz are IMB representatives who have been serving among the Jewish community in Argentina for the last 21 years. Buenos Aires, Argentina is home to the 7th largest concentration of Jewish people in the world and is by far the largest Jewish community in Latin America. Rick and Kris are church planters and started a messianic congregation that is now led by a Messianic Rabbi (A Jewish follower of Jesus). The congregation is the only one of its kind in Buenos Aires and faithfully preaches Jesus as the Son of God and the promised Messiah to Jews and Gentiles alike. The Kunzes have six adult children who were all raised in Argentina. They are currently serving as Global Consultants at OBU and will be starting a new assignment in Israel beginning in November. Blake Martin, pastor of Wallace Avenue Baptist Church, has led his church in a remarkable turnaround over the past 2 years. The church has moved from the threshold of death to tripling their attendance, budget and staff in 2 years. Come hear his inspiring story. We will have time for Q&A after he speaks. 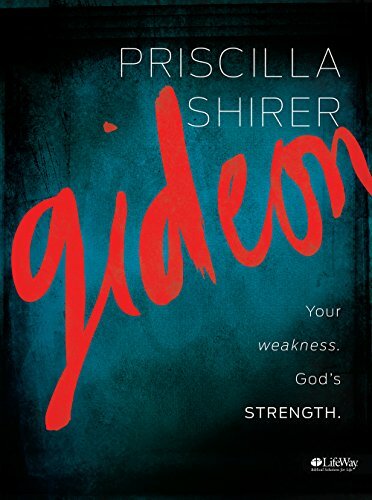 Women’s bible study for the fall, Gideon by Priscilla Shirer. This study is a seven-week study to help recognize how weaknesses help you to experience God's strength in your life. The evening group will start on Tuesday, September 11th at 7:00 at the home of Dee Ann Schroyer, 1509 Hunters Ridge Drive, and the morning group will start Thursday, September 13th at 10:00. All women are invited. If you have any questions call Dee Ann at 831-7004. Want to get to know your fellow church members better? Looking for a great evening of food and conversation? Here is your opportunity. Supper Club is a time of fun, food and fellowship for groups of 3 — including singles, couples and families — to get to know each other better. For instance, a Supper Club group of 3 could be 2 families and a single person, 2 singles and a family, 3 couples, etc. Groups meet once a month for 3 months—September, October, and November. Then we form different groups for the next quarter. Typically groups alternate homes so that everyone hosts once a quarter or you choose a restaurant if you are too busy to host. The host can provide the meal or it can be pot luck. How do you get involved? Sign up in your Sunday School class or email Audrey Rose at arose4100@gmail.com or text to 918-557-7862. We will contact you with your assigned group members and their contact information. Wednesday night dinners have resumed. Please RSVP if you plan on attending any dinners, so we can get an accurate idea of how much food will need to be prepared. FBC will be participating in the Edna McMillan offering this year, which will go towards local missions in Oklahoma. Our church goal is that everyone will give something towards the offering. For those interested in keeping up with Baptist news, we will now have copies of the Baptist Messenger available at the Welcome Center. “Our Corps will be hosting two weekends of training for those interested in assisting during disasters. We must have a minimum of 10 for the training to happen. Spouses, children, neighbors, church members, anyone who is able-bodied and interested is welcome! The training is to benefit the community, not just those affiliated with The Salvation Army. We need more first responders in the community. The September 15 training is a prerequisite to the September 22 training. Shawnee, OK – In The Salvation Army, preparation for disaster response is an important part of their ability to respond when disaster strikes. When disasters occur, The Salvation Army’s Emergency Disaster Services rely on trained volunteers to help serve and respond in times of need. Shawnee’s Salvation Army has two training courses available to the public on September 15, 2018. We encourage you to join us at our next Emergency Disaster Services training to gain an overview of The Salvation Army’s mission and its role within disaster work. Participants will learn how to prepare and equip themselves to help us serve your local community in times of crisis. For more information or to register for this training, please contact Captain Russell Clay at 405-275-2243 or email him at russell.clay@uss.salvationarmy.org or visit http://disaster.salvationarmyusa.org/training/?classes&amp;state=OK. Shawnee, OK – During a disaster, the first gesture of comfort The Salvation Army offers is often a cold drink and a hot meal from one of its mobile feeding units (canteen). We encourage you to join us at our next Emergency Disaster Services Training to learn how the canteens operate during times of disaster. Participants who complete the course will learn about the different types of Salvation Army food service equipment, the essentials of building a food service team, canteen operations and maintenance, and the basics of menu planning. Anyone interested in food service delivery or serving on a Salvation Army canteen should take this course.